Vodafone is finalising a TV service along with Canal Plus and intends to launch its OTT service, branded ‘Yomvi’, on all distribution platforms in the near future. The CEO of Vodafone, Antonio Coimbra, has confirmed that the company is breaking into the TV business again after it pulled out of the market in 2010 to avoid paying the RTVE’s so-called telco tax. “We have been working with Canal Plus to offer a multiscreen TV solution for TV, tablets and smartphones that will be launched in the next weeks”, he said. 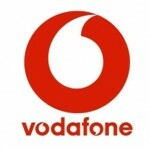 Vodafone is speeding up the deployment of its fibre optic network currently reaching 100,000 homes across Spain with plans to reach 3 million in 2015 and 6 million in 2017. Along with Orange, the company is also set to launch its first commercial FTTH service in April with pilots underway in several Spanish cities including Madrid and Seville.